It’s time for another Blog Spotlight! Here at Pretty in Pink Polish, I like to highlight my friends’ nail polish blogs once or twice a month. I am absolutely gobsmacked at how talented my friend Shaina “Haute Lacquer” is… and she’s a baby! You wouldn’t know by looking at her nail art photos, but Shaina is in her early teens. 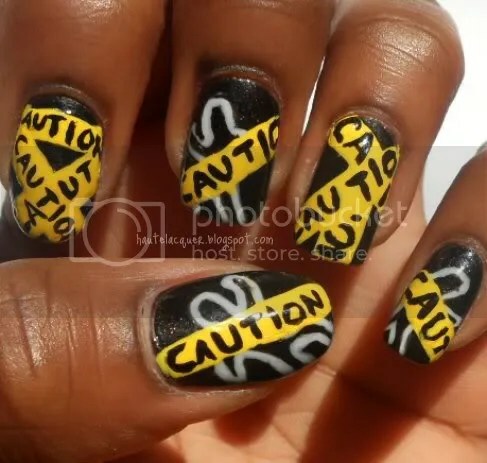 Here is just one of the many awesome manicures she has done. ← The Pretty In Pink Polish Halloween 2011 Giveaway!